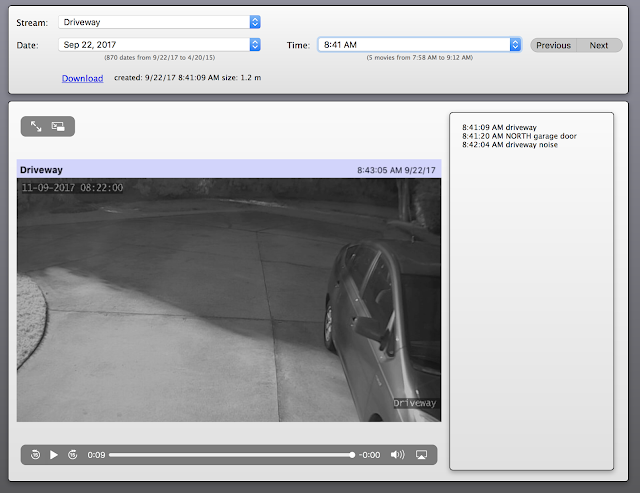 My day job is as a developer for XTension a Mac based home automation system. Some years ago something changed in Safari and it stopped playing the video clips that XTension saves off in response to motion or other perimeter violations. I could never get it to work on iOS either. This was remarkably frustrating to have to tell people that to view the video archives in the Web Interface they had to use a different browser. It continued to work just fine in Chrome and Firefox. I thought at first that it had to do with using a self signed certificate but it turns out that Safari absolutely requires you to support the Range header and to properly reply. The other browsers were happy with my response of the entirety of the file even though they also initially ask for a smaller range of bytes. Safari was not happy with that and flatly refused to load the files at all unless I supported their range request. The Web Remote and Mobile Web Remote in XTension are developed with Xojo and the built in webFile class does not support range requests. Since figuring this out I’ve been able to implement a replacement class that does support them. Should any other Xojo developers need to serve up video or audio files to Safari or Mobile Safari they are free (as in beer) to use the cMediaFile class and even to improve it and make new submissions at the github repository. Here’s an example of XTension’s Video Archive page now working again in Safari! We both hated the family room fireplace (and don’t even get me started on the living room fireplace, that is another blog entry and is now completely gone) it had a real flue at least, unlike the living room “fireplace” but was such a small firebox that once you put 2 logs into it the fire didn’t even start until it was up above the top of the hood. 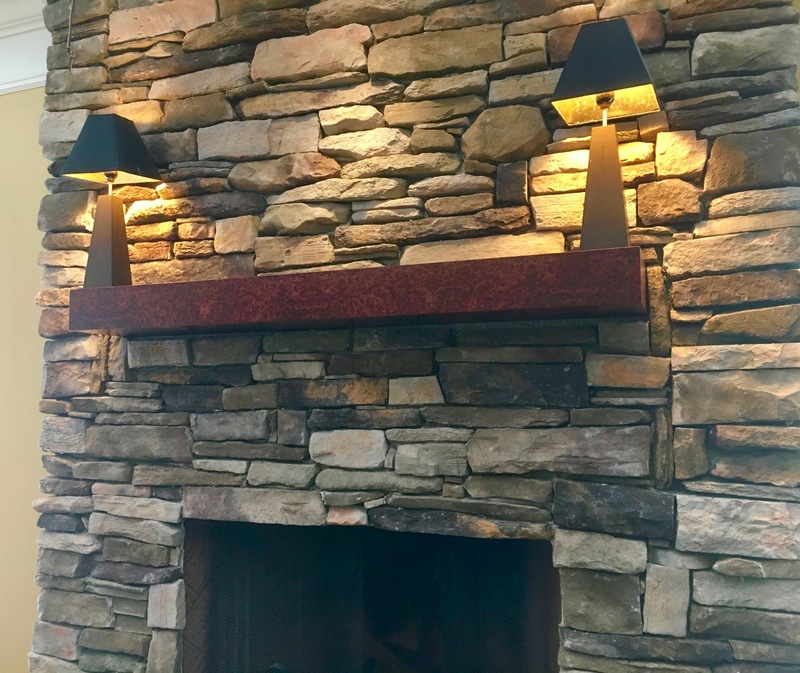 It was built into one of these great mantle/surround things. They look nice from a distance but up close they are just a bunch of particle board moldings screwed together, really clunky and not very nice or useful at all. 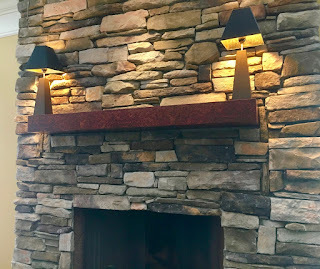 As part of the addition we had a hearth built and what turned out to be a very nice faux stone chimney made. 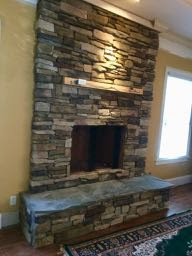 I’m really happy with the way the stone turned out but I wanted a nicer mantle than what they would give me. Offers of a nice piece of reclaimed lumber or something doesn’t really fit with what I wanted so I asked then to just give me a 2x4 cleat across the stone onto which I could attach a mantle I could build myself. 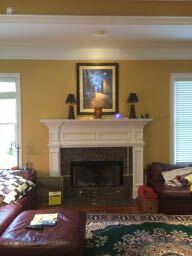 The wiring from the outlets along that wall also ran through that space so I was able to bring it up through the mantle and mount another outlet on to what will be inside the mantle for plugging in lamps and clocks or anything else without having a cord falling over the side which was important to me as that always looked horrible on the existing mantle. The box is pretty simple. Half inch plywood with an inside system of supports to make sure it stays square and strong. I drilled them out in the middle though so that any wires I ran to anything could get back and forth. The cut out on the top will be removable panels with some holes drilled for cords to come through up where you need them. 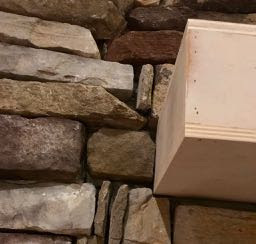 After trimming and shimming the cleats it fit very nice and tight and I only had to take a cold chisel to a couple of stone corners to make it fit fully into the stone face. I ran into another problem which you can see in the first picture above. 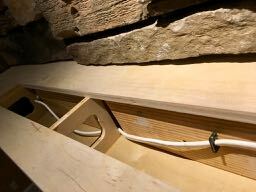 The electrical wire was getting crimped by the support blocks and keeping them from being flush with the cleat. 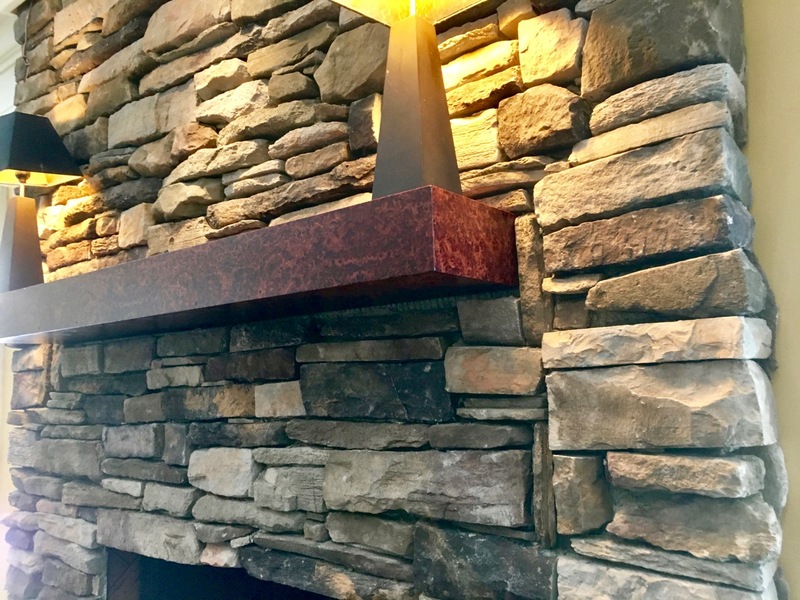 I could have removed the wire and pulled it through the supports, but I wanted to be able to take off the mantle in the future if the veneer failed or if something happened that I needed to change or fix it. So back to the oscillating saw and I cut some notches into the cleat to allow the wire to safely snake around the support blocks. This removes some of the structure of the thing since they won’t be pressed against the cleat, but it turned out that didn’t matter, it’s plenty strong even before I screwed it into the cleat from top and bottom. 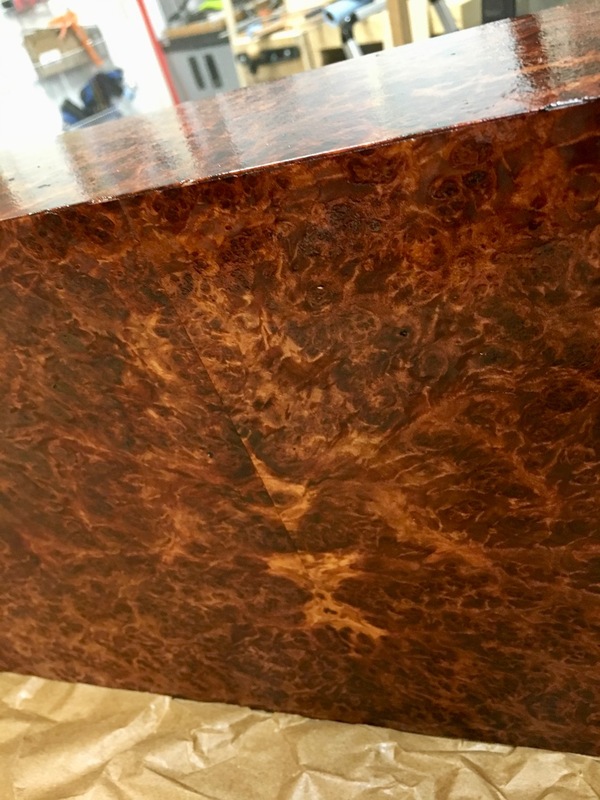 Now that the box was complete and fitted it was time to decide about the veneer. I’ve been wanting to invest in the tools to do real veneering for a long time. Since this was a Significant Other approved project I was able to justify the purchase of a lower end vacuum pump and veneer press. Unfortunately the mantle box is a little longer than 4’ and I only bought the 4’ veneer compression bag. 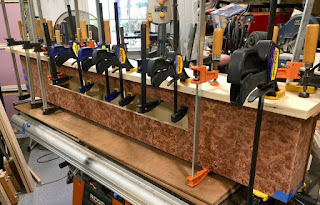 Instead of just buying a larger bag and waiting for it to arrive I decided to go with regular wood working glue and lots and lots of clamps and cauls. 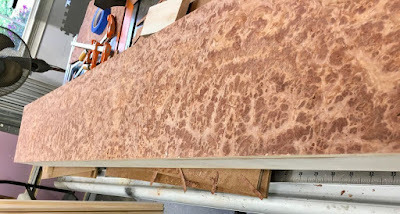 I ordered some beautiful Redwood Burl veneer from VeneerSupplies.com along with the bag and vacuum pump. When it arrived I realized I had another problem. 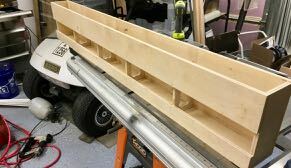 It would have to be flattened in order to properly adhere to the workpiece. For this at least I was able to use the vacuum bag and veneer press. 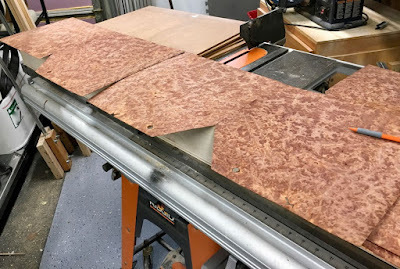 The internet has many products you can spray on the veneer to soften it for flattening and many recipes for DIY flattening and much discussion claiming its pressure or temperature or chemical that you use that is better. It was actually hard to choose a mode of working on this that I knew would work given how many ideas are out there and how adamant the various players are. I ended up using a formula of mostly water with a small amount of glycerine in it. The glycerine to soften the wood, but not so much that it would affect the staining or finishing or glue up process. I gave the pieces a gentle spray, packed them between sheets of masonite and loaded them into the vacuum press overnight. What came out was beautiful and flat and ready for book matching and layup. I gave it a quick wipe down with some isopropyl alcohol to remove the surface glycerine as my tests with small pieces showed that really did mess up the absorption of the oil finish if I didn’t do so. This was also a very oily veneer which would affect the adhesion of the finish without doing this. Acetone would probably have worked better. I’ve never done anything with veneer before at all so this was an adventure. Instead of cutting the pieces to make them line up perfectly I used fine sandpaper on a wooden block. Taking 2 pieces of veneer that matched and folding them over so the two edges that would match up were together. Then clamping that between 2 pieces of wood without about half an MM or more if necessary to get the angle right, sticking out. Then gently used that sanding block to sand them down flat with the wood they were clamped between. When they were taken out they would open out and fit together perfectly. Again without all the proper tools I didn’t bother with veneer tape, just blue masking tape to hold them together as I prepared them to be glued to the box. 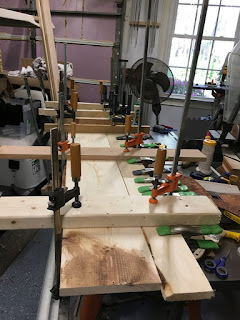 Lots and lots of clamps and cauls later I was really happy with the result. Don’t look too closely at the corners and edges that got dinged. This was a very fragile veneer. 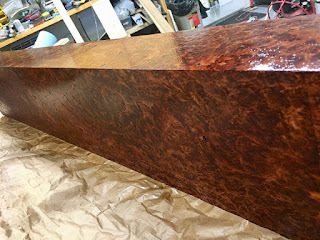 I hid most of those spots during finishing either with a little spot of veneer roughly matched or some appropriately colored stain. The final veneer before finishing really looked nice and made me very happy! First a coat of Linseed oil to really bring out the color and figure. It darkened up a little more than I would have liked, maybe danish oil next time which I think has less of a darkening effect from what I’ve seen. Perhaps I didn’t experiment with different finishes on this enough before jumping in, but it still turned out fantastic. The Makerbot is dead, long live the Makerbot! And a new Monoprice Select Plus 3D! I actually use my 3D printer for printing small runs of plastic parts. They go with the Smart Meter Reader Kit and some others for kits that are not shipping yet as of this writing. They all connect to my day job which is XTension. Last week I needed to print another smart meter sensor mount for someone and found that my Makerbot was no longer recognized over USB even though it seemed to be working OK from the front panel. So the next thing I tried was to get it to print off it’s CF card and it wasn’t able to find anything on the car either even though it had just printed from that card a few months ago. Not having time to try to troubleshoot the boards myself right now I decided to upgrade to a new printer! 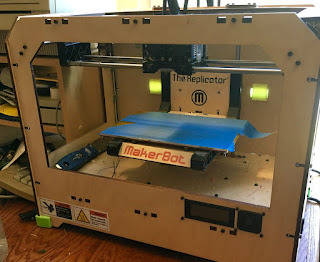 Enter my new Monoprice Maker Select Plus 3D Printer! Costing less than a quarter of what the Replicator cost me several years ago and supposedly producing better prints. 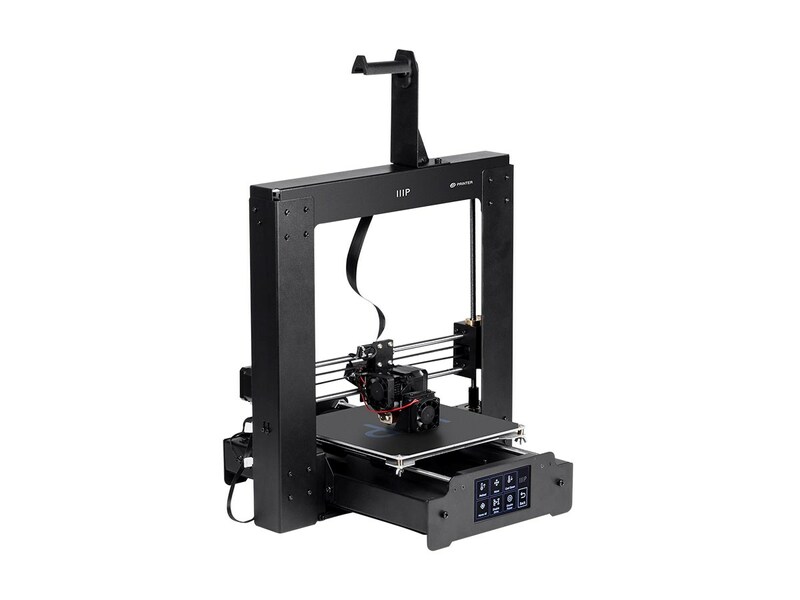 I’ve only had it for a few days now, but I’m generally hopeful that it will be a good printer and do what I need and for under $400 you can’t beat the price for anything with that build volume and a heated bed. Putting the hardware together was very simple but the software is a huge problem. As with most things in the inexpensive range of open source stuff it’s a nightmare to figure out how to use the thing. The documentation Monoprice is shipping with recommends Cura as the slicer and control app to use. Unfortunately their docs are enough versions behind the current Cura release that there is not a single window or screen in the app that looks like what they show. Every single option is in a different place and many of them no longer exist in the app at all. Trying to slice a model for it was very frustrating on that first day. It did print the test files that come on the CF card very nicely though, as good as my makerbot after lots of tweaking and fiddling with settings and several failed prints as part of the tweaking process. So I was still positive this was going to be a useful printer if I could just figure out the software. There is an old version of Cura included on the CF card, but only for Windows. Why would they customize an old version of the app rather than supply the files so that you could more easily add the printer to the latest version? I have no idea. But it’s useless to me on this Mac and it’s becoming more and more useless to windows users as it gets older and older compared to the current release of Cura. There are a lot of older web articles explaining how to extract the profile information from the models that came with on the card, but this is also no longer available in the newer versions of Cura. Finally the best resource I found talking about it is at 3dprinterwiki.info This is a fantastic site! The monoprice printer is a re-branded Wanhao duplicator I3 plus. On that site is a link to the slicing profile info that you need to know in order to make really nice prints on it. The same settings that were used in the demo files that ship with the printer that worked so well. The out of date instructions imply that you can somehow extract the profile info from the gcode files, but I could not find that feature anywhere in the current Cura versions so you’ll need the link from the wiki to get that setup. Everything you need to know is on that site but you’ll do a lot of reading to get to it. Additionally there is little point in trying to get Cura to print to the device via USB. It says it’s theoretically possible, but I was unsuccessful in making it notice the printer was connected even after a large amount of screwing around with different usb/serial drivers and settings in the Cura configuration files. I would stick to using the CF card and sneakernetting it to the printer. This also means that if you have a software crash or a power failure or just want to restart your computer or wander off with it you don’t have to leave it on the desk for however many hours the print is going to take. The sticker on the heated bed in this printer works very well for PLA, but I’ve just received my first upgrade in the form of a glass plate and will be attaching that and resetting the Z Axiz sensor soon.